It's no secret that this year's presidential candidates don't always see eye to eye—and that extends to their family life and childcare policies as well. Are you still undecided about this year's election? If so, maybe getting a look at each candidate's stance on family leave and childcare will help you make up your mind. This year's candidates see things differently on many of the major issues, and family/childcare policy is no exception. While both Donald Trump and Hillary Clinton have proposed significant changes to our current parental leave laws, their views on the issues definitely differ—and third party candidates throw even more options into the mix. Here's where Trump, Clinton, Gary Johnson and Jill Stein stand on the issues that really affect they day-to-day lives of parents. As we've previously reported, the Republican nominee has proposed a policy under which new moms will be entitled to six weeks of paid leave after giving birth. Let's keep in mind that as of right now, new moms aren't legally guaranteed any paid time off—but many mothers are given eight to 12 weeks after they deliver. Trump's proposal represents a step forward in some ways: After all, the U.S. lags far behind other developed countries in the sense that paid leave is not a given. With that being said, critics have panned Trump's policy, as it doesn't extend to dads and adoptive mothers. This isn't a typical stance for a Republican nominee—neither is Trump's childcare proposal, which involves a childcare cost deductible on income taxes for singles bringing in up to $250,000 a year and couples bringing in up to $500,000. "We need working mothers to be fairly compensated for their work and have access to affordable, quality childcare for their kids. 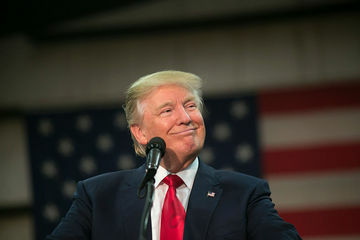 That's what we're doing," Trump said, when presenting the plan with daughter Ivanka Trump. The Democratic nominee also hopes to introduce mandatory paid leave for all employees. Under Clinton's plan, women will be entitled to 12 weeks of paid maternity leave, and will receive at least two-thirds of their usual wages (up to a ceiling). Clinton's policy doesn't just benefit birth mothers, it also extends to fathers and parents who adopt or use surrogates. "Too many moms have to go back to work just days after their babies are born…And too many dads and parents of adopted children don’t get any paid leave at all...None of this is fair to families," Clinton said, according to her web site. 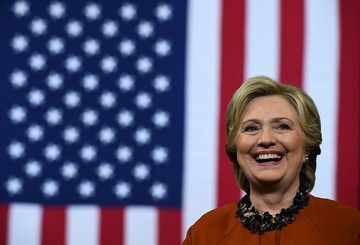 According to the Washington Post, Clinton hopes to make childcare more affordable by ensuring no family spends more than 10 percent of its household income on care. Skeptics have pointed out that Clinton's plan is hugely ambitious. One thing the Libertarian candidate believes needs to change? The nature of fatherhood. The third-party candidate has been vocal about all the ways in which families can be benefit from a strong paternal influence. With that being said, he does not support legally mandated paid parental leave for moms or dads. 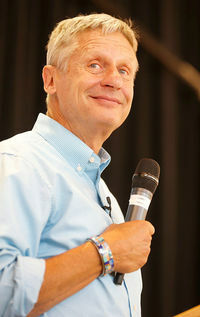 According I Side With, when Johnson was asked if he supports mandated paid leave for full-time employees after they become parents, he said: "No, private businesses should decide the amount of competitive incentives they offer to employees instead of a government mandate." Needless to say, Dr. Stein promises to try and change this if she's elected: According to the candidate's web site, enacting paid sick and family leave is a big part of her platform, as is facilitating the creation of free universal childcare. Are you ready to vote? Our sister site, Parents, is partnering with 54 of the nation’s top media brands to help get more women registered to vote and participate in this historic presidential election. You can learn more about #OurVoteCounts, see if you still have time to register to vote in the election and pledge that you'll vote on November 8.